Could air miles fund your next holiday? There are lots of neat tricks and travel hacks that could save you money on your holiday and we’re bringing you another one: air miles. Air miles can still be one of the best ways to bag a bargain on your next holiday, as they can be used to redeem flights, hotel stays, and holiday experiences. So how can you make the most of air miles - and can they really fund your next getaway? First of all, you’ll need to find a scheme that suits you. This depends on what kind of spender you are and how you might like to redeem your points later. For example, airlines frequently offer their own credit cards which earn you travel points when you use them. This is useful if there is a specific airline you want to travel with or if you’re a frequent flyer. However, these cards frequently offer better rewards the more you spend, and some come with a hefty annual fee, so they’re usually more suitable for big spenders. The most popular air miles schemes in the UK are Avios and the Virgin Atlantic Flying Club. Both of these schemes are linked to a number of credit card products as well as points partners, so you could earn miles through your everyday spending as well as frequent travel. Most air miles schemes are linked to various credit card products so you collect points every time you use the card. With Avios and Virgin’s Flying Club, you can also earn miles when you shop with partners online or in-store. Both of these schemes are linked to Tesco Clubcard, for example, so your weekly shop could help you earn a bunch of miles if you exchange your Clubcard points for Avios vouchers. Plus, if you’ve already got Clubcard points, you could exchange them for Avios vouchers too. 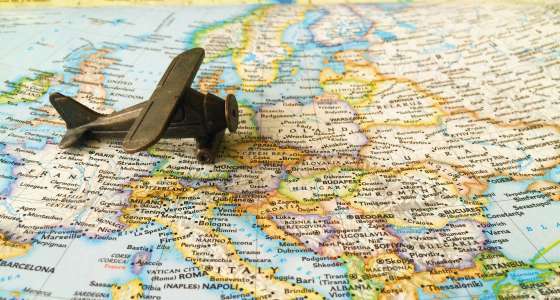 Of course, you’ll usually earn the most miles by buying flights or accommodation. Whether you’re a frequent flyer or not, there’s plenty of ways to rack up the points. Avios allows you to spend your air miles on flights, accommodation, and experiences, so your points could go a long way towards covering the cost of your holiday. Flying Club, meanwhile, only lets you spend your points on flights so bear that in mind when signing up to a scheme. Avios and Virgin Atlantic Flying Club both allow you to spend your miles with their partners, on stuff beyond flights and accommodation. This can give you more flexibility in terms of redeeming your points. What your miles could get you depends on the scheme but you’re likely to find a solid bargain regardless of the scheme. For instance, with Avios, you could get a return flight to Europe with British Airways for £35 plus 8,000 air miles. That means more money to spend on shopping and food! Meanwhile, with Flying Club, you can spend your miles on long-haul flights starting from 20,000 miles, or grab a ticket for a companion from 10,000 points. That means some serious discounts on a getaway for two. Flying Club also offers a loyalty scheme that means frequent flyers earn even more rewards. If you’re flying as a family, your kids could get an air miles membership too! Of course, the more miles you collect, the bigger the reward you can redeem. Your shopping habits could help you get a significant discount off your next holiday, whether it’s a short escape with your partner, or a family trip further afield. Have you used air miles to pay for a holiday? Tell us all about it in the comments!